2011 was an interesting year in the art market as a whole. Collectors and art market commentators waited eagerly for the key Impressionist and Modern sales results, suspecting that the art market would weaken dramatically, as it did in the aftermath of the financial crash of the early 1990's. Much to the delight of both art dealers and art buyers, history has not repeated itself, instead the art market for investment level works remained strong and prices moved higher, not lower. This time round art has been perceived as a safe haven for capital, indeed it is now classed as "an alternative asset or investment". The market for Rodin sculpture has been most affected in recent years by the acceptance and establishment of the Comite Rodin, a society that examines and confirms the authenticity or lack of it, of any work presented to it. The examination of works by the Comite and the letters accepting works for inclusion in the catalogue raisonne, they are composing, have provided a long needed accepted independent authority for Rodin's works. The information that is often given with these letters, is also most helpful for collectors and dealers, establishing the provenance of any work, the date of casting and in some cases the numbers of each cast made. 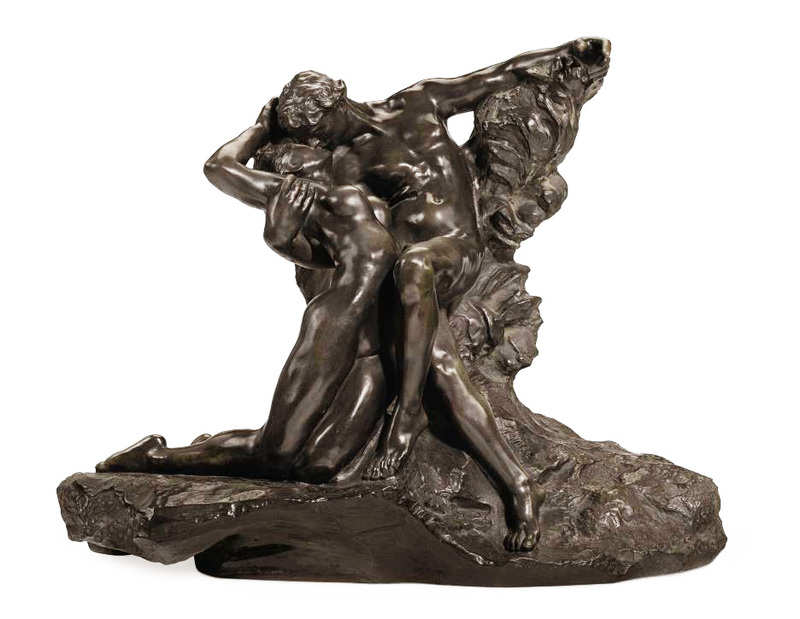 The highest price in 2011 for a Rodin sculpture was achieved at auction by Christies in Paris where a life-size, life-time cast of te Age D'Airain, made Euros 4,657,000. Life-size Alexis Rudier cast of the Age D'Airain, sold at Christies for Euros 4,657,000. Early casts of these iconic works in a large scale are increasingly rare to the market as they are popular with institutional buyers, who prefer works of a substantial scale, as they can be exhibited easily for large groups of people to enjoy. To see how the market has moved in recent years however, we need to look at less rare works that come onto the market with reasonable frequency and better illustrate the overall strength of the market. At the Robert Bowman Gallery, we sold a 40 cm lifet-time cast of the Eternal Spring, by the Barbedienne foundry for £110,000 in 2005. In 2009 we purchased the sculpture back from the client, providing a sound return for their investment and then sold it to another collector for £180,000. In 2010 another cast of the same size and from the same foundry, made over £240,000 at auction in Sothebys London. Eternal Spring, 40 cm high model, lifetime cast by Barbedienne, Robert Bowman Gallery. 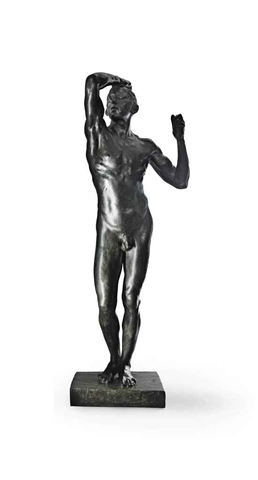 This upward trend in prices has continued in 2011 for Rodin's sculptures as a whole. The reason is simple. Rodin cast his work to demand during his lifetime and after his death the Rodin Museum continued to cast his work to demand. At the time however, there were only a certain amount of people in the world who were able to afford fine art of this calibre and of those who did have sufficient funds , only a small percentage were interested in doing so. This resulted in the production of a number of sculptures to meet that demand. Now, over 100 years later, the amount of people with sufficient personal wealth to acquire a Rodin sculpture has increased many fold and therefore the amount of people interested in actually acquiring a Rodin sculpture. We must add to this the increased security in the market offered by the Comite Rodin, the popularity of the Rodin Museum and the ever increasing awareness and education in fine art sculpture. Finally each year a significant number of works are acquired by institutions and major private collections, these are unlikely to be seen on the open market ever again, certainly not in our lifetime. This equates to an increasing consumer demand coupled with a decreasing sculpture supply, which forces prices upwards. © Copyright 1992 - November 2011 for data collection & design by Hans de Roos - All Rights Reserved.